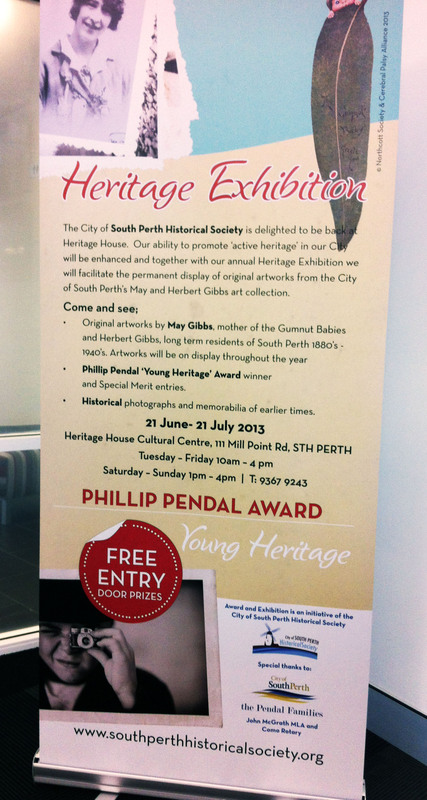 With nice sunny skies in the forecast this weekend, why not head over to Heritage House and check out the Philip Pendal Young Heritage Award Exhibition being held by the Historical Society of South Perth? It’s the last weekend for the exhibition so catch it while you can! Opening hours over the weekend are from 1 pm to 4 pm.